J. B. 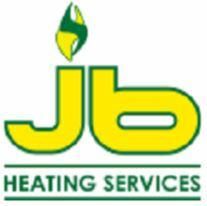 Heating Services are the specialist gas secure registered engineers in Bury providing a range of different services including repair work, maintenance as well as installment of boilers, along with different kinds of plumbing work. Whether you need a home heating engineer in Bury, a plumber in Bury, or boiler repair service in Bury, we are your regional experts to assist when you are in requirement. All our engineers are certified as well as guaranteed and obtain normal training to guarantee their abilities are up to day. If you have a trouble with your home heating or plumbing and require help quickly in Bury, J. B. Home Heating Services are the regional firm that you can trust to do the job, quickly as well as efficiently with as little fuss as possible. For additional information on any one of our services provide us a call today on Tel: 07976 804354.